It seems this week I have been driven to write about my mother. It has happened more than once. Here she is again. Tapping my shoulder a reminder that she loved blue. There is the one and only photo of her where she wears a dress of blue. The photo was taken years and years ago. In the photo are my two nephews, my mother and myself.. The photo was taken in West Philadelphia. She sewed it. A light blue that now I wish to call "Indigo." 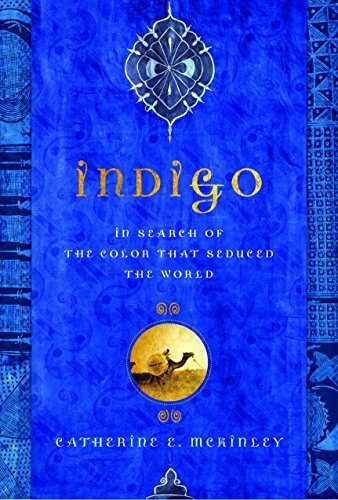 I have much to learn about Indigo. 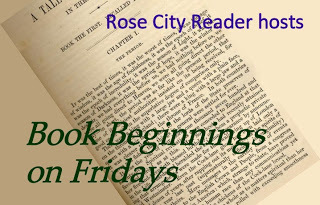 It is easy to pick up on the author, Catherine E. Mckinley's, fervent love for the color. One day my son asked me my favorite color. I said, "I don't have one." I don't. Perhaps, I choose colors by mood. Today red and tomorrow green, there is Christmas kicking in again. What is that all about? I have seen Christmas trees with all blue balls or blue and silver balls. Then, there is blue for boy babies. I had four baby boys. Not one wore blue home from the hospital. I can't believe it. In my heart, tradition is important. There must have been years where rituals lost their place in my life. For what reason, any one can guess.